Zimmer Biomet recalled more than 3,600 implants in 2016 after reports of a “high fracture rate” with its Comprehensive Reverse Shoulder device. The first lawsuit over the implants’ fracturing was settled in early 2016 – nine months before the second recall was issued. Shoulder replacements are surgically implanted devices that help restore arm movement. This is helpful for people who have tears to their rotator cuffs and have developed arthropathy, or severe shoulder arthritis. Reverse shoulder implants are named for the way they “reverse” human anatomy of the shoulder. Instead of a ball on the upper arm bone that fits into a socket on the shoulder blade, the implants put the ball on the shoulder and the socket on the arm. 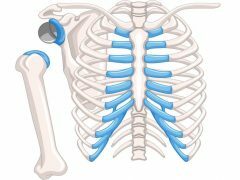 A humeral tray attaches to a stem that has been inserted into the humerus, or upper arm bone. A bearing is then fitted to the tray to form the socket of the new joint. In December 2016, Zimmer Biomet recalled 3,662 reverse shoulder components of its Comprehensive model line. It was one of the largest recalls of reverse shoulder devices in recent years. In the recall notice, Zimmer Biomet said its Comprehensive Reverse Shoulder System Humeral Tray Model 115340 suffered a high fracture rate. Recalled units had been manufactured between August 2008 and September 2011. Trays manufactured after that time incorporated design changes to prevent fractures. The affected trays were distributed as late as September 2015. The U.S. Food and Drug Administration categorized the action as a Class I recall, the agency’s most serious type. In an Urgent Field Safety Notice, the company warned that fractures could require patients to undergo revision surgery which could cause serious health complications including infection, loss of shoulder function and death. Zimmer Biomet said immediate health risks were not likely, but the devices posed long-term risks. The most likely and most severe risk was that people implanted with the affected models would need revision surgery sometime in the future if the component fractured. The 2016 recall was the fourth involving Zimmer or Biomet reverse shoulder devices since 2010. It also involved the largest number of reverse shoulder devices since Zimmer’s recall of 9,800 tools used in implant surgery for both conventional and reverse shoulder implants in 2010. That recall affected nearly 9,800 Distal Pilots, used in implanting Zimmer’s Trabecular Metal Shoulder, because they were not functioning properly, and the problem could prevent the implant from fitting appropriately to the arm bone. The problem could also lead to a delay in surgery, a bone fracture, or the need to alter the way the implant was attached. Other recalls of reverse shoulder devices between 2010 and 2016 had not been so large. While different companies had recalled devices, for the most part, the numbers of actual units affected had been small. Reason for Recall - The lots were commingled during the manufacturing process and were etched with incorrect lot numbers. The size difference between the two stem sizes is 1.1 inches. The FDA classified these other recalls as Class II – a situation where the device “may cause temporary or medically reversible adverse health consequences” or where there is a remote probability of serious health risks. The Comprehensive model line was originally produced by Biomet, Inc., which Zimmer Holdings acquired for nearly $14 billion in 2015, creating Zimmer Biomet. But Zimmer’s acquisition brought it problems as well as anticipated profits. Just a month before the 2016 recall, the FDA issued a lengthy list of potential violations at what prior to the merger had been a Biomet manufacturing plant in Warsaw, Indiana. FDA inspectors looked over the facility between September and November 2016, before issuing a 58-page review of issues they found. Inspectors also found the facility did not sample products based on a valid statistical model. Alfonso Alarid of Denver, Colorado, received a Comprehensive Shoulder System to replace his left shoulder in September 2009. He received another Comprehensive implant to replace his right shoulder in July 2010. While undergoing physical therapy in 2012, the humeral tray separated from the stem in his left shoulder and Alarid had to have the implant replaced. In March 2013, the implant in his right shoulder failed in a similar fashion and it, too, had to be replaced. Both of the devices were among the 47 Comprehensive Reverse Shoulder systems affected by Biomet’s September 2010 recall. Alarid filed a lawsuit in state court in Colorado against Biomet in July 2014, before the company merged with Zimmer. In his complaint, Alarid claimed that Biomet had received multiple reports of problems with the device. He also claimed Biomet had sold implants in “defective and unreasonably dangerous condition” that resulted in his injuries requiring two revision surgeries. 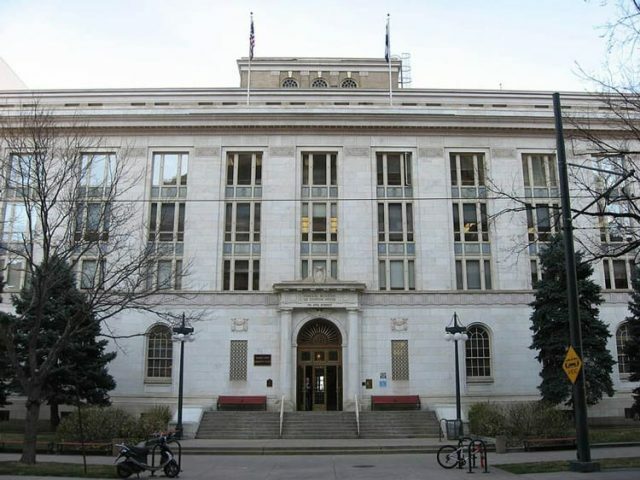 The case was moved to federal court in Denver in September 2015. In February 2016, Biomet, by then a part of Zimmer Biomet, agreed to pay Alarid $350,000 to settle the claims against the company. In its annual report, Zimmer Biomet listed three major litigations against the company over the Zimmer Durom Cup hip implant, the Zimmer NexGen Knee implant system and the Biomet M2a Magnum hip implant.